Paul Rusesabagina is known as the african “Schindler”. 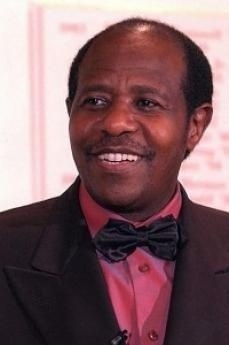 He’s courageous acts have inspired the acknowledged movie “Hotel Rwanda”. During the Tutsi genocide in Rwanda in 1994, this brave-heart manager saved 1.268 hiding them in the Belgian four stars hotel managed by him. In his modesty, he does not accept the hero label: “I have simply helped those people, I had the responsibility. Unfortunately facts were worse than those portrayed in the movie. Movies need a special flavor in order to be served to the public.” In was one of those bloodshed events that western saw on TV during meals. Paul adds: “The world has abandoned us, may be because there’s no oil in Rwanda. The international Community has not received our appeals: 2,000 american on the ground leaved undefended people to their terrible fate, to the most rapid and furious massacre of the modern era; even the media had no time to record one hundred days where one million people died. Today the massacres are to be found in Sudan, Congo and Ciad; but we have to face the truth, Africa must save itself by its own forces. This movie must appoint to each one his responsibilities and give back the confidence lost in people. In Rwanda, still we have winners and losers who are not gable to sit and discuss. This an extraordinary story of a common man.